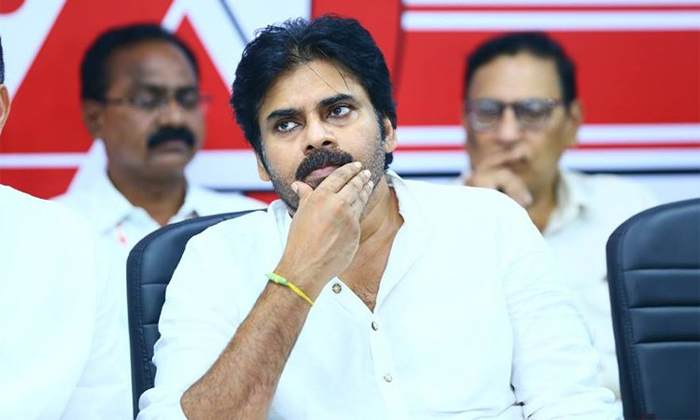 Power Star Pawan Kalyan is currently busy on a state wide tour strengthening his party Janasena in the run up to the assembly elections in Andhra Pradesh. However the recent developments in Andhra Pradesh is making Janasena cadre fear for the life of their leader. It is known that a lorry rammed into Pawan Kalyan's convoy when he was heading to Rajanagaram. It resulted in injury to his security personnel. Even before they could get over from the shock, another lorry carrying sand rammed into the car in which Pawan and Manohar were travelling to Hyderabad. Car driver CS Raju lodged complaint with the Jubilee His police. Janasena Party cadre feels that two incidents in just couple of days is raising suspicion needles making them fear for the life of Pawan Kalyan. How will the ruling TDP react to these allegations, we need to wait and see?